A handful of young activists gathered in the heart of Seoul on Nov. 26, chanting words that sound like a propaganda campaign in Pyongyang promoting North Korean leader Kim Jong-un. The event was held to welcome a trip to the South by North Korean leader Kim Jong-un, who pledged to visit the South Korean capital before the end of the year during a summit meeting with President Moon Jae-in in Pyongyang in September. Kim Soo-gen and his group went on to describe the North Korean leader as a “modest, thoughtful and courageous” statesman who ushered in unprecedented peace and stability on the Korean Peninsula. While most people passed by nonchalantly, some angry citizens demanded strong punishment for praising the North Korean leader in public space. “I think they are out of their minds,” said a 63-year-old office worker, who only identified himself by his surname Cho. “If they want to say things like that, they should move to North Korea. I don’t understand why they are here. Though staged by small groups of young activists with little ties to other official progressive groups that favor engagement with the North, the event demonstrated South Korea’s divided perceptions of Kim Jong-un. Praising the North Korean leader has been a taboo in South Korea, which ended its bitter 1950-53 war without a peace treaty. Under the law, those found sympathizing with the North Korean government or pro-North Korea groups in South Korea can be sentenced to up to seven years in prison. However, things began to change after North Korean leader Kim announced a change in policy toward the South during his New Year’s address. Kim and Moon have subsequently held three summits, creating an unprecedented detente on the Korean Peninsula. The thawing of relations between the two countries have led to a change in the way some South Koreans view Kim, shifting away from a focus on his reclusive, brutal dictatorship. 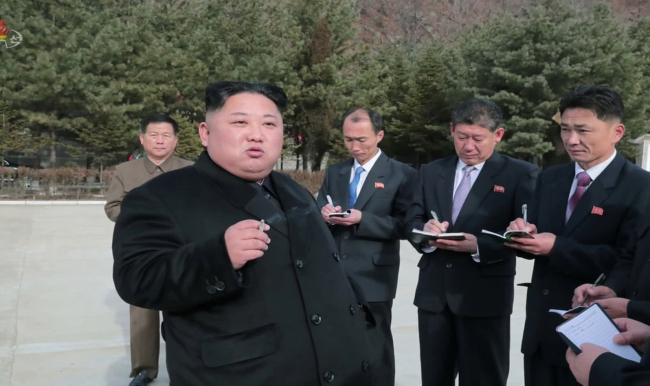 In a poll conducted in May, soon after the first summit meeting between the two leaders at the truce village of Panmunjom, 65 percent of the respondents said their impression of Kim had improved. Only 1 percent said their view had worsened. The boost to Kim’s public image followed his first meeting with Moon in April, the first such meeting since the young North Korean leader rose to power in late 2011. The scene of Kim politely inviting Moon to cross the concrete slab that divides the two Koreas at Panmunjom as they met for the first summit was beamed lived to South Korean audiences. The 35-year-old leader even made a social media buzz in South Korea with his attempt at an Instagrammable moment, trying to make a small heart with his fingers while posing for photos with Moon on Paektu mountain following their third summit in Pyongyang in September. Indeed, Kim’s charm offensive has led some South Koreans to see him as an accessible, relatable figure. An internet online shopping site has sold figurines of Kim, wearing a Superman-like costume with a nuclear missile on his shoulder. The North Korean leader has, in fact, made inroads into the popular imagination. Standing Egg, an indie band, said that a figurine of Kim in hip-hop fashion “was so cute” that they want to become his fan, referring to one of the figurines in Kim’s image that were shown at a recent art exhibition in Seoul. 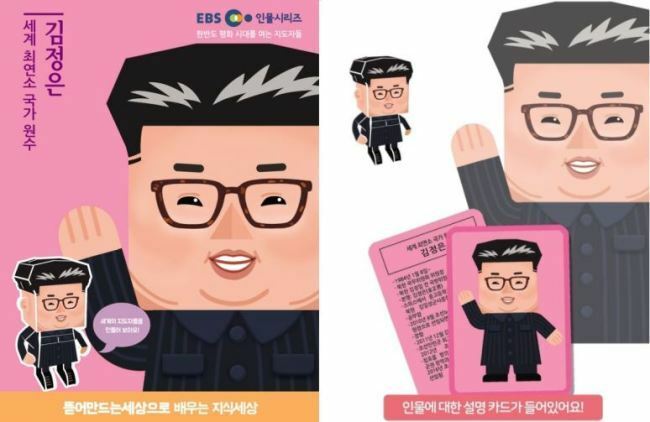 Last month, a South Korean public broadcaster, in partnership with a private company, sold a 3-D puzzle set that depicts Kim as “the youngest leader in the world who ushered in an era of world peace.” The broadcaster pulled the products from the shelves as criticism mounted that it had gone too far in promoting Kim’s image. Since the end of the Korean War in 1953, laws in South Korea have banned people from sympathizing with North Korea and pro-North groups. Under the National Security Law, any person who “praises, incites or propagates” the activities of an antigovernment organization, such as the North Korean government, or a member of one, faces up to 7 years in prison. While the law remains controversial with a room for arbitrary interpretation, a long-time North Korea watcher said praising North Korea in a public space is punishable by law and that principle should apply to those staging a welcoming ceremony for North Korea’s Kim. “The pro-North Korean group’s behavior is in clear violation of the National Security Law,” said Ryu Dong-ryeol, chairman of Korean Institute of Liberal Democracy, a Seoul-based conservative security think-tank, referring to the young people at Gwanghwamun. The change in attitude toward the North appears to be most marked among those in their 20s -- a generation who had spent most of their school years witnessing North Korean military provocations and soaring tensions between the two Koreas. A survey of college students in May showed the young people’s changed view of Kim following the first inter-Korean summit. About 50 percent of the respondents said they had a “positive image” of Kim. Before the summit, only 5 percent of the respondents said they liked Kim. “The summit allowed Kim to change the way the media portray him. … He created for himself the image of a leader of a normal country,” said Lee Chang-hyun, a professor of media and communication at Kookmin University, who conducted the survey. However, experts said Kim’s growing popularity among the South Korean public should be treated with caution, given the young leader’s track record of brutal purges and the country’s dismal human rights record. Kim killed his way to the top by ordering the execution of his uncle, Jang Song-thaek, and also is believed to have ordered the assassination of his half-brother, Kim Jong-nam. Both were said to be close to the Chinese elites and critical of Kim’s third-generation control over the North. 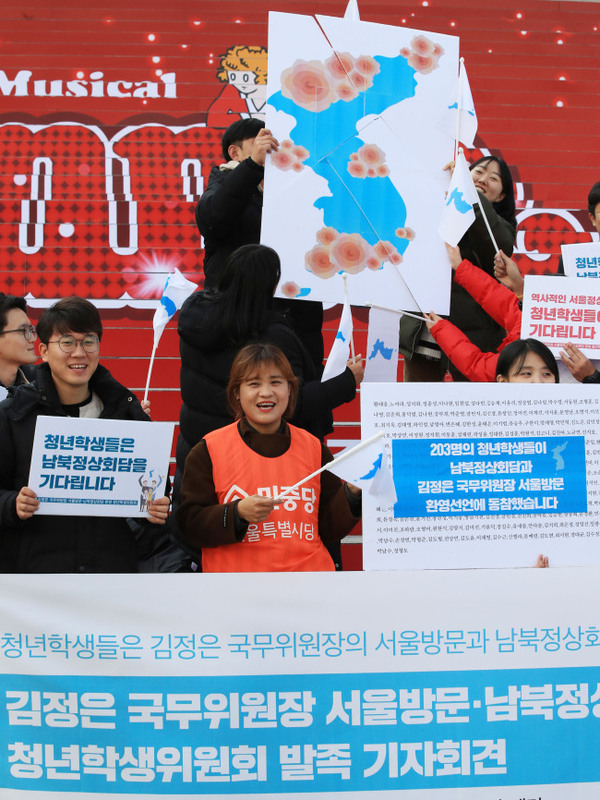 The resolution expresses deep concern “at the grave human rights situation, the pervasive culture of impunity and the lack of accountability for human rights violations in the Democratic People‘s Republic of Korea,” using the country’s official name. Given that successive South Korean administrations have supported the international campaign to address the human rights situation in North Korea, perceptions that it is “beautifying” Kim’s image would leave South Korea in a difficult position, analysts warned. The South Korean government expressed its approval of the adoption of the UN resolution condemning North Korea’s human rights abuses. South Korea is one of the 61 nations which supported the efforts to draft the resolution. The UN has adopted the resolution every year since 2005. Analysts also voiced concerns that extreme views of the North Korean leader could deepen the social divide in South Korea, where issues concerning the communist state have been fodder for political fights between the progressives and the conservatives. After the controversial welcoming ceremony for Kim, a conservative group demanded harsh punishment by the prosecutors. Some even pledged to organize a team to “arrest” Kim for human rights abuses. “A measured expression of welcoming an inter-Korean dialogue is enough to create a positive atmosphere before Kim’s visit to Seoul,” said Han Sang-hie, a law professor from Konkuk University Law School.